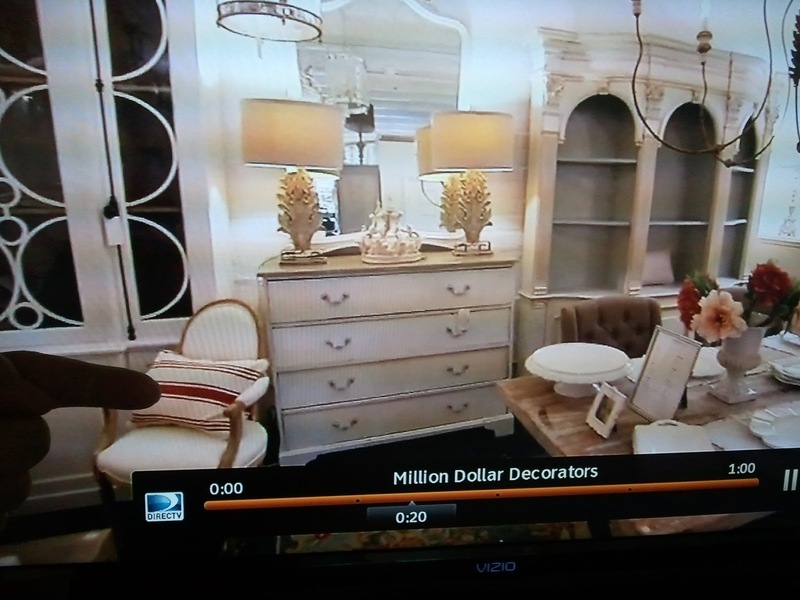 One of the reality shows I'm obsessed with is Bravo's Million Dollar Decorators. I was watching it today while the kids were at school. (There's a new "no TV" rule during the school week to try and keep the nuggets from putting off chores and homework... killing me...). So, I was getting my Tivo on and gasped when I saw one of my pillows on the show!!! OK, so it's not exactly noticeable. And it's not exactly cutting edge design... but still! So, go ahead and toot that horn! Oh my. That is pretty darn exciting no matter what design they were showing!! Congrats to you!! 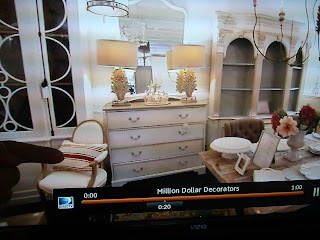 Not everyone can say they were on Million Dollar Decorator! I haven't seen the show yet. I will have to start recording it, too! Way to go! Love your stuff! So Exciting! It is a great feeling. So excited for you! I so would ave been screaming and dancing around the house! Lol. Awesome! I just love all your linens...you have a special touch and impeccable taste!